Each of us have the ability to help create a better world for all of us. We do not have to accept the values we do not believe are right, and that do not reflect who we are. We have the power to change the world. We have the power to create a world where love, compassion and caring becomes the norm. I, for one, will not give in to those around me spewing hatred, fear, bigotry and racism. I will continue to fight for a world where human rights for all are accepted and promoted. 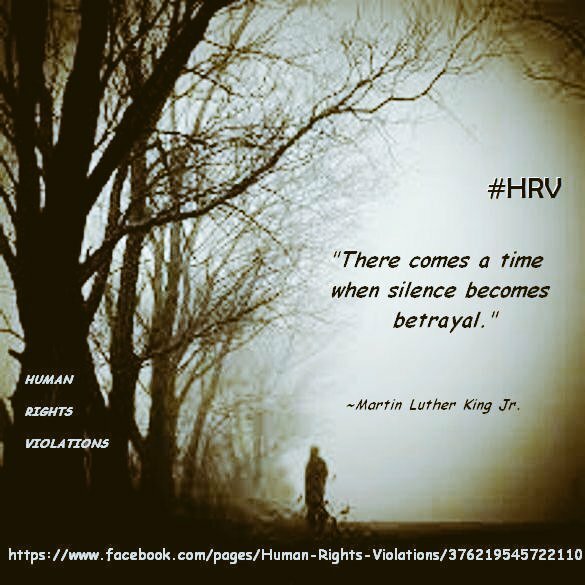 This entry was posted in Hunger & Poverty, Quotes and tagged #HRV, a better world, acceptance, action, bigotry, change, compassion., courage, fear, hatred, human rights violations, love, mercy, racism, values on November 6, 2016 by Ray Buchanan.